I've been purchasing quite a few items just recently and here is one I couldn do with a little help with. WW2German Third Reich Army Officers Sword. 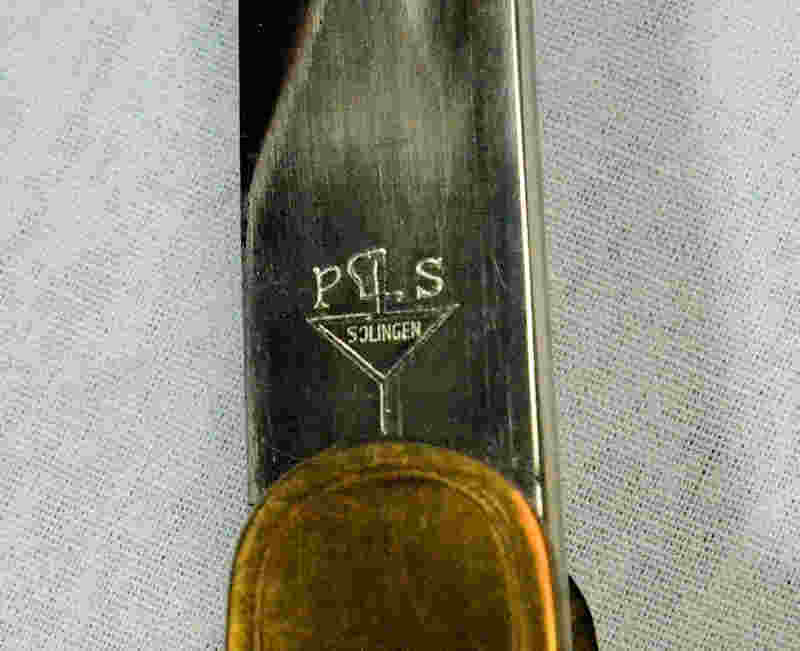 A very good example, singleedged plain fullered blade with cutler's details to the forteof''PS''. The hilt with single bar guard with embossed oakleafdecoration and to the cross guard a German Army eagle with foldedwings. The black grip with silver twist wire binding is surmounted bya oak leave embossed pommel. 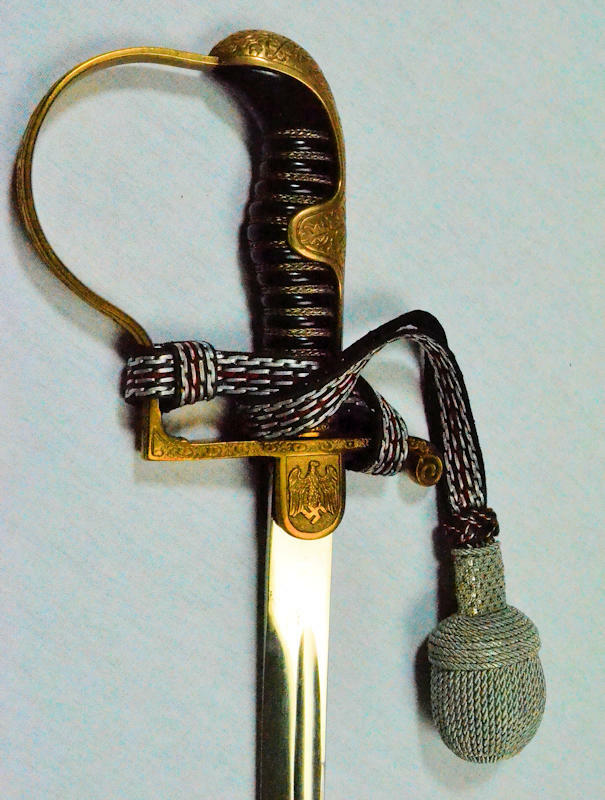 Complete with original steel paintedscabbard.Retaining leather and bullion sword knot. Good cleancondition... Complete with leather attachment strap. Profiletaper: 0.77'' (19.6mm) at ricasso, 0.68'' (17.5mm)at mid blade, 0.56'' (14.3mm) 2 inches from tip. Distal taper 0.23'' (5.9mm) at ricasso, 0.15'' (4mm)at mid blade,. 0.10''(2.6mm) 2 inches from tip. I think I have identified the ricasso stamp as being for Paul Seilheimer, a Soligen maker. The sword knot (portepee?) looks like a police one. Can any one confirm this. I don't know if the knot is original to the sword or added later as dressing. There seem to be a lot of variations around this basic pattern of sword, differences to decoration, style mof the eagle etc. Does anyone have any information about these variation. Were there different standard patters for Army, Police, Firemen etc or are the variation just down to the differing makers. Let me know your thoughts on this. Thanks in advance. Paul Seilheimer was indeed among the many sword maker for the 3rd Reich and his swords are much harder to find than other patterns. I think there are around 5 or 6 specific models made by that maker (a lionhead, a pantherhead, a plain undecorated dovehead, another with deployed wings eagle and another with closed wings eagle). In answer to your question, yes there was a lot of variations between sword patterns and the Army, Police and SS, Luftwaffe, Navy and etc all had completely distinct models. 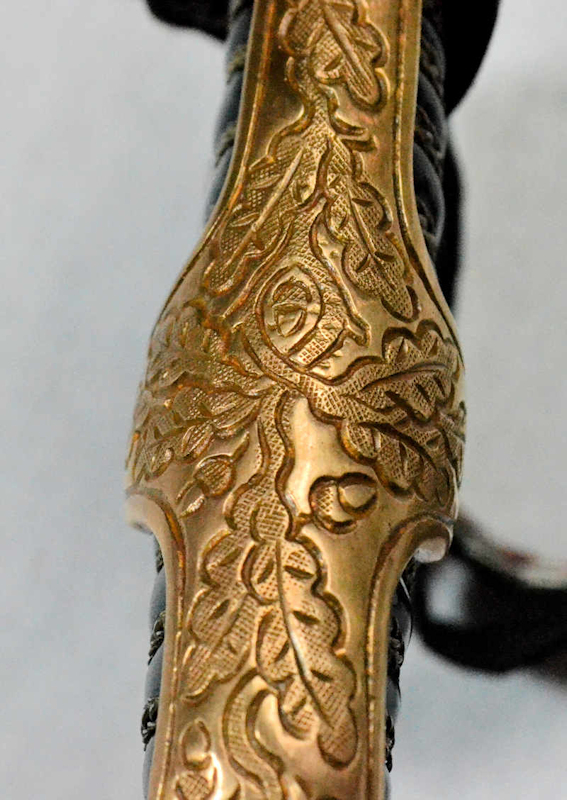 Surprisingly enough there was little to no control over the regulation patterns within Army/Heer swords and the numerous makers had the freedom to offer as many different models/patterns as they wanted so a dovehead Holler sword will have different fittings decoration (acorns, leaves, eagle wings position) than an Eickhorn or a Puma dovehead. The Army knots were green and white so this red-black knot is indeed for police and these weren't allowed to wear dove/lionheads but only the D-guard degens. To guide you in this jungle of sword models I strongly suggest you get copies of Angola and Johnson's books. a policeman drafted or assignged to the army as an MP. Perhaps?... 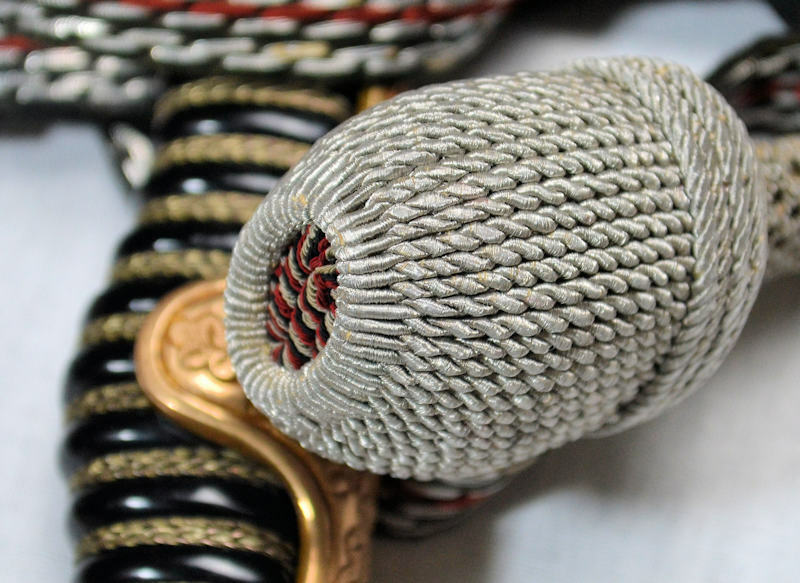 but I think it just as likely that the knot was added to the sword later by a dealer to dress it up a little. 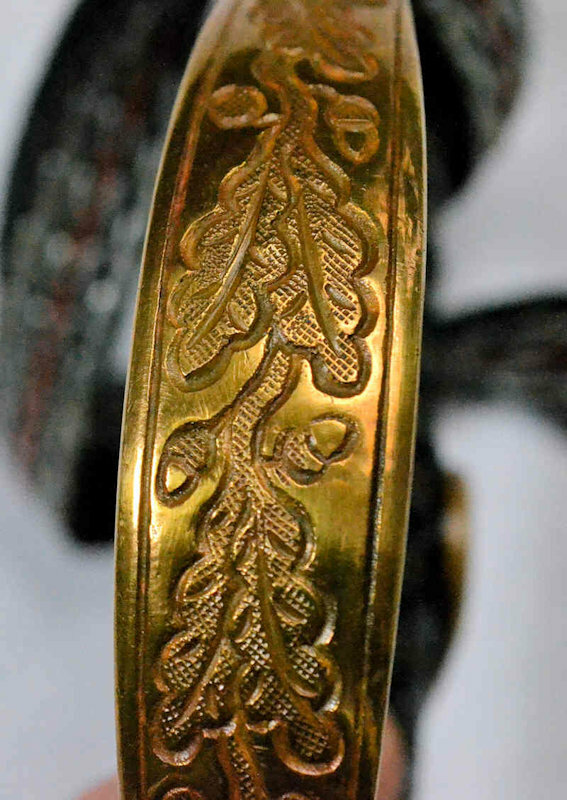 The knot looks genuine but is in very good condition so could be a reproduction anyway.